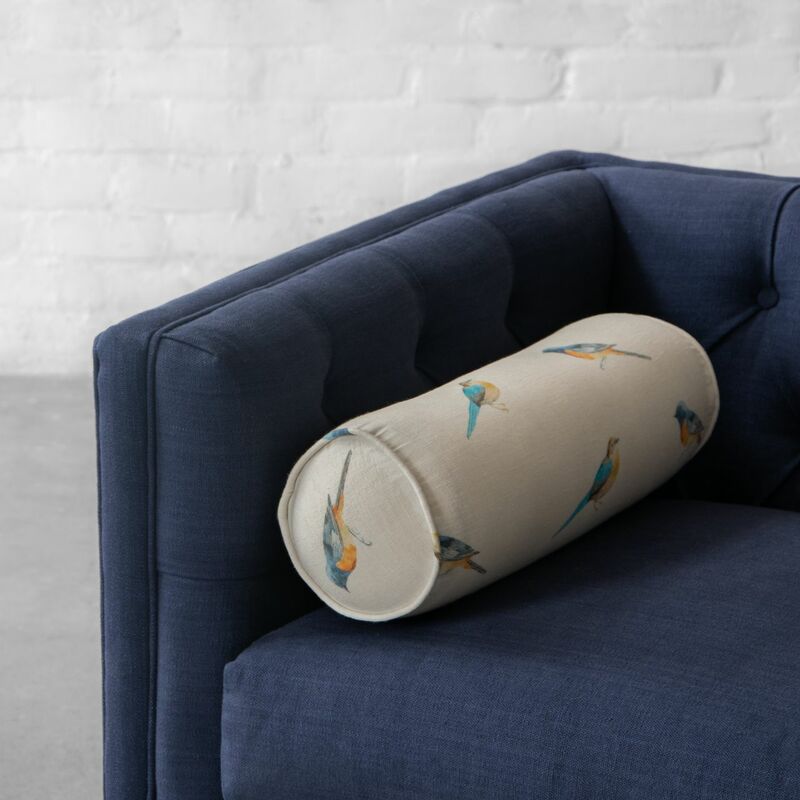 The cushion's fancier cousin spotted as a top-of-bed centrepiece, or situated solo on a chair or adding extra cushioning to the ends of a daybed is here in Gulmohar Lane timeless style. 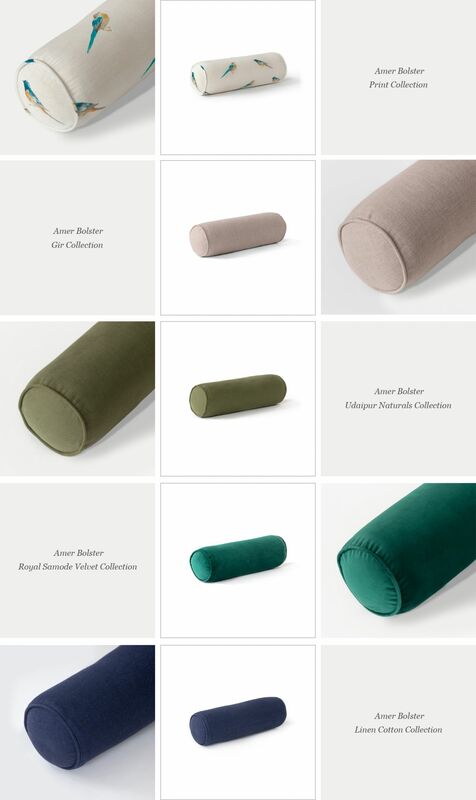 Create a unique focal point in your home with these aesthetically designed and utilitarian Amer Bolsters available in 49 different fabrics. 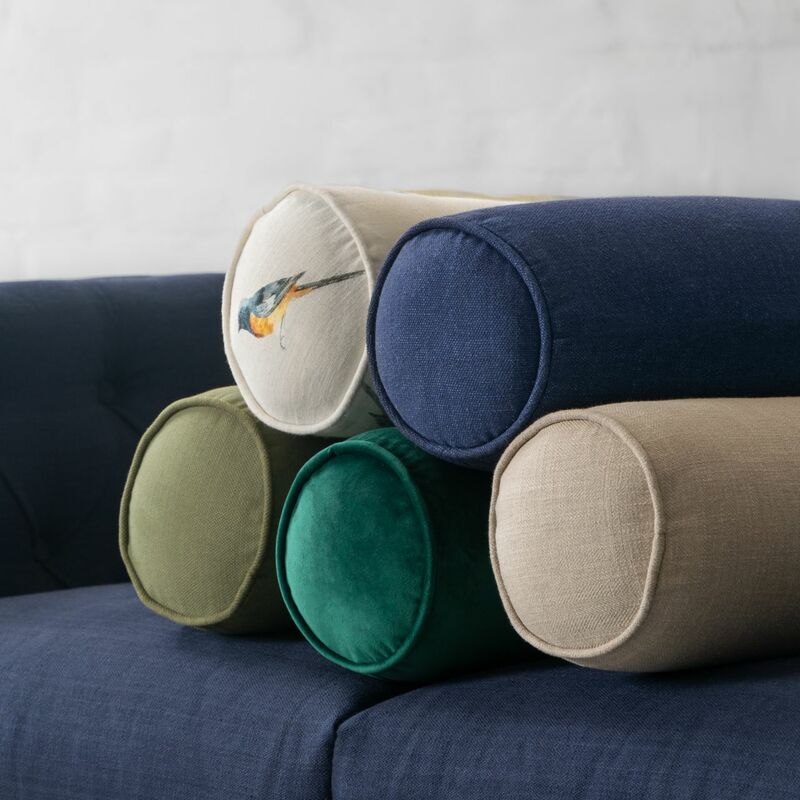 The soft touch of our fabrics in rich colours are sure to add a touch of royal even to the most minimal furniture design. 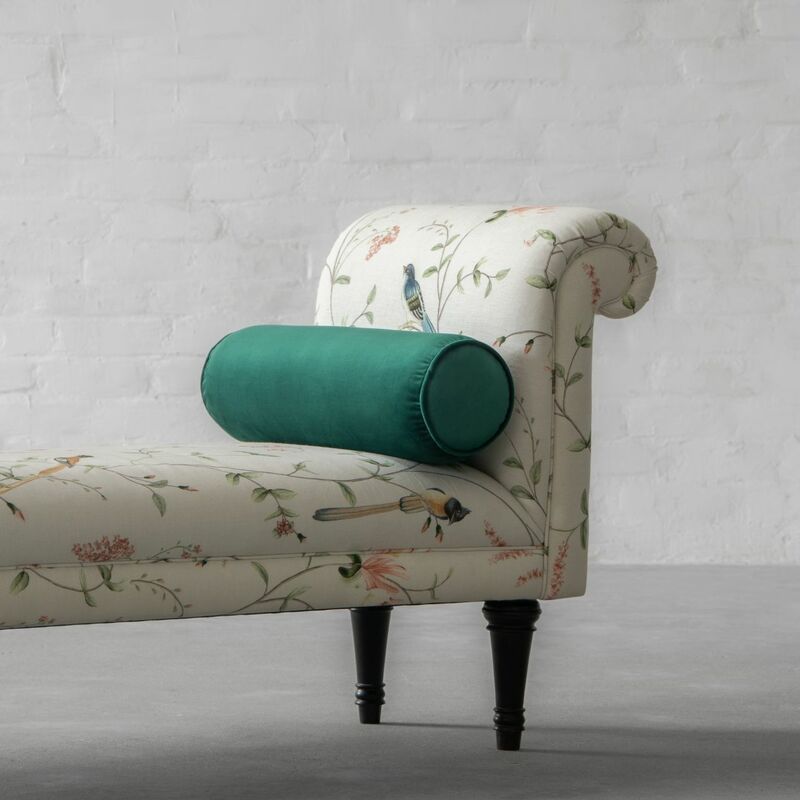 These splendid and cozy designs along with their structural form and traditional inspiration will add a touch of classic to your benches, sofas or even armchairs but in Gulmohar Lane’s signature style.